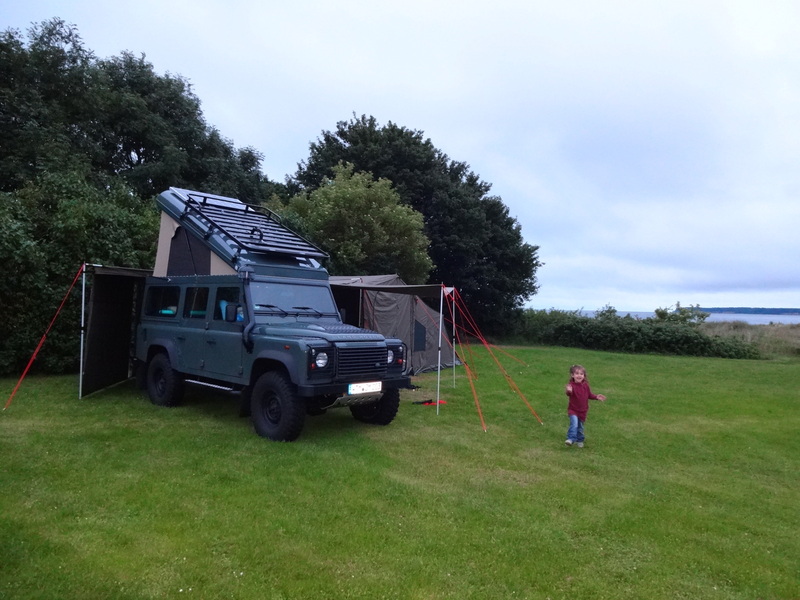 Can I go overlanding with young kids? 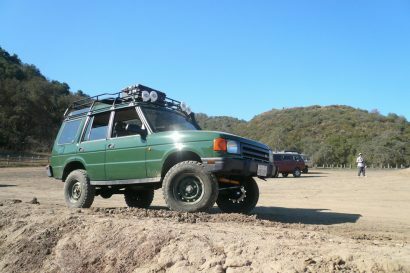 When exactly is the right time to start overlanding with my children? Let’s start finding an answer to this question by traveling back in time and looking at the history of the modern human: Homo Sapiens lived a nomadic life for at least 188,000 years and has spent only the last 12,000 years living in settlements. In percentage terms this is 94% compared to 6%! Traveling was thus natural during the predominant part of the history of humanity. Only since the beginning of sedentism a nomadic lifestyle became more and more unusual. But even today nomadic or half-nomadic peoples do exist still although their number unfortunately is rapidly decreasing. Traveling with children for thousands of years was no decision on a leisure time activity though but an inevitable necessity to survive. Concluding from those facts, it is clear that both children and parents are naturally adapted to traveling, rather than being adapted to a sedentary lifestyle. This also includes that, just from the biological or medical point of view, traveling with even very young children today is not ruled out at all. Especially today we are rather advantaged in comparison to earlier nomads because of the security and reliability of modern long-distance means of communication such as the internet, two way radio, mobile phones and sat-phones provide in addition to the nearly worldwide improvement of medical care. Still, a lot of the “old knowledge” concerning hunting, bush food and medication taken from nature has nearly vanished completely. 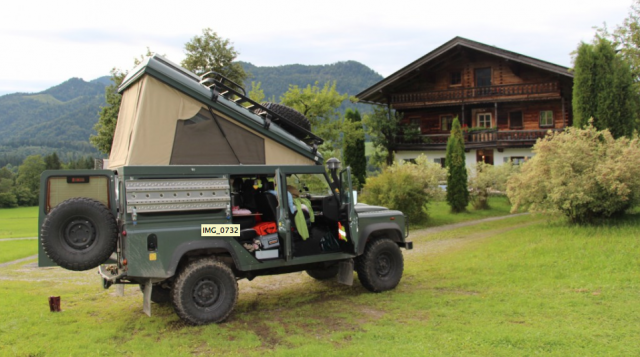 But this could be, actually, one reason for traveling and overlanding. Re-learning old skills. The restraint of modern day western oriented people and especially parents with young children to opt for a modern nomadic lifestyle could also be caused by the fact that this also can be seen by a majority of our fellow contemporaries as a decision against one of the “achievements” of humanity which has contributed considerably to the alleged “progress” of humanity from the economic and scientific perspective. Source: ZAPP, Candelaria & Herman: Spark your Dream. Buenos Aires (2011). From our own personal overland-experience we know that even unborn children can really enjoy traveling – namely if their parents enjoy it, too. Just as classical music is not positively influencing all children prenatally but only those whose mothers also enjoy listening to that type of music, traveling with young children, too, is no “universal remedy”. If traveling is perceived as stressful by the parents, they will of course carry over this stress to their children who then will become “grumbly” and the parents get even more stressed, which then will surely negatively influence the childrens’ development. In our case, the decision to go on a five-week overland trip through Scandinavia was an absolute “aha-experience”. Juliane was seven months pregnant at that time and before had to restrict herself considerably job-wise due to medical advice concerning working hours and work duration. Caused by the everyday stress doctors back then feared that our youngest daughter Sóley would be born prematurely if Juliane was continually exposed to this stress. We had not been aware how physically strenuous teaching can be. Considering that aspect, we also had to weigh whether we could really go on our planned summer-overland trip. We decided to do it and also decided on a medically “safe” and also relaxing part of the world from the climatic perspective (and thus that of the circulatory system as well). The impact of this journey was really amazing for us and the doctors: the medical finding which was really precarious before traveling was easing back and our second daughter finally came into this world not until two weeks after the expected day of delivery instead of being born prematurely. As it happened, our overland-trip therefore was relaxing for mother and child in spite of it being an “activity holiday” with setting up and taking down camp, hiking et cetera. One possible side effect of this trip may be the fact that our daughter Sóley always falls asleep in the Land Rover as soon as the engine is running and we are on the move. As mentioned, overlanding as a family is in a way “natural” but also contains certain challenges for the parents: diapering has to be done in a confined space and with far less convenience, the same is valid for breast feeding, preparing baby food, rocking to sleep and so forth. A potential danger through a lack of hygiene however can be minimized easily by attentive parents. 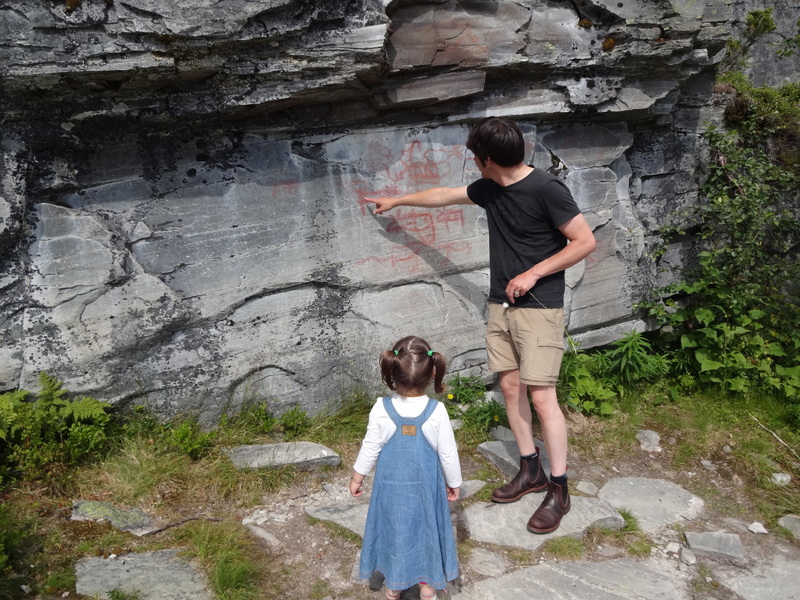 Over and above, even toddlers are considerably less delicate and vulnerable than the thousands of so-called guidebooks suggest to unconfident parents – otherwise humankind would have died out during our nomadic wanderings long ago. In addition to that, all necessary baby-products are available nearly worldwide. We experienced this during a stay in Ethiopia: we had taken along powdered milk and diapers from home and stuffed nearly a complete suitcase with these and other baby-things just to find out that all of that could have been bought in Ethiopia, too, the same brands at nearly the same price! Our most important thesis concerning traveling with young kids is, “If you let your children participate early in the fun of overlanding and it becomes habitual and normal for them, overlanding definitely is no problem at all but a great joy for everybody. Also, this early influence of all the experiences made can be a great source of memories, future dreams and learning. Our elder daughter Anouk, for example, still remembers what she called the “fox-meadow”, a beautiful nature campsite on the island of Møn where at dusk we had observed the foxes looking for leftover foods. Anouk was only two and a half years old at that time. If parents get into the infantile discoverer-phase, every journey can be experienced very advantageously from a completely different perspective. It is really fascinating what kind of questions young children – naturally born discoverers because otherwise they would not learn – start to ask. Questions about things and concepts that are self-evident to grown-ups but about which it still can be worth changing one’s perspective and be open for the children’s point of view. It is obvious that with young children one has to slow down the travel speed. Stressful cities might have to be avoided, sightseeing might has to be reduced and one has to adjust to the age of the children. Still an exciting exploration of the travel-destinations in child-digestible portions is more than possible. To be able to savor this way of traveling one has to accept that one has to adjust oneself to the rhythm of the children – but that is something every parent has to do at home, too, with the big difference that at home so very many things distract from real family time, family time that can be experienced way more intensively when being on the road. 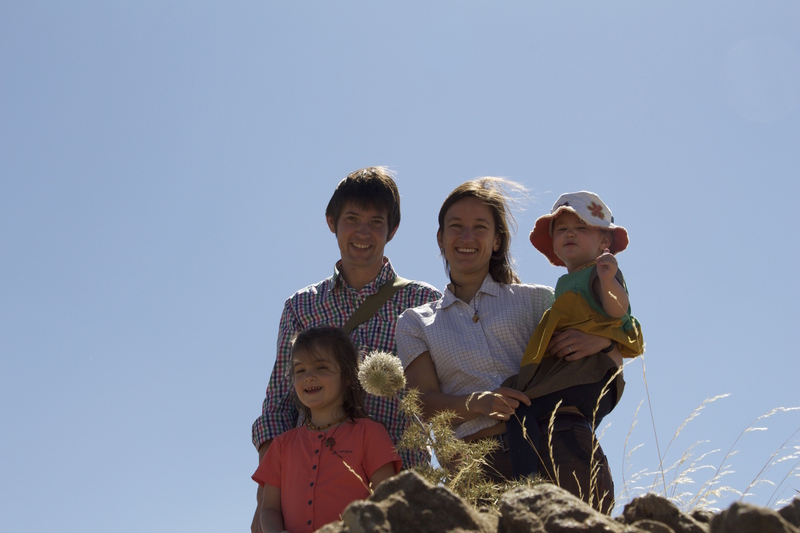 Overlanding together as a small family provides exactly this intensive family-time traveling in the “mobile home” – without television maybe, but with a multitude of real experiences. Those who are not being frustrated by overlanding with young kids, those who will be satisfied by that, will definitely profit immensely. The children will profit from all those experiences and impressions shared with their natural role models anyway! 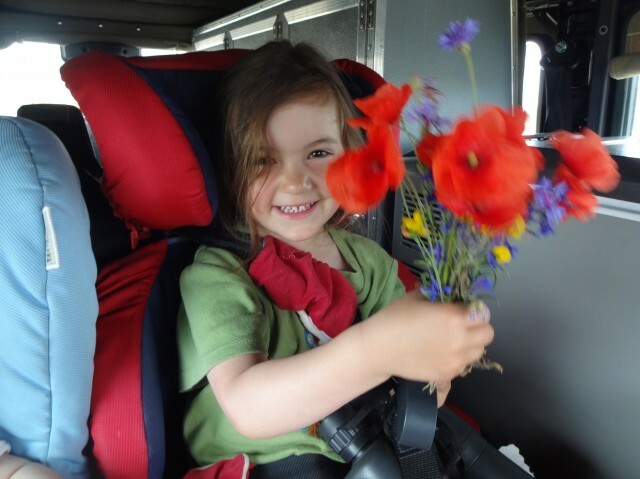 From our point of view an incredible benefit of overlanding is the fact that on the road can be found an infinite number of challenges which can be adapted to different stages of the childrens’ development and can be used by the parents as learning-inducements. Anouk’s assignment when she was only three was, for example, to set up the camp table. In the near future she will have to help us with the travel documentation and write a portfolio on all the countries we have visited. Moreover, she will be involved in the cooking and in the daily checking of the Land Rover. In several conversations Anouk has identified this as a special “trust” that we have more intensively when we are on the way in the Landy which makes her very proud of herself. We would however use the term “passing on responsibility” rather that “trust” here! But in the daily routine at home, Anouk seems to be regretting exactly these situations. 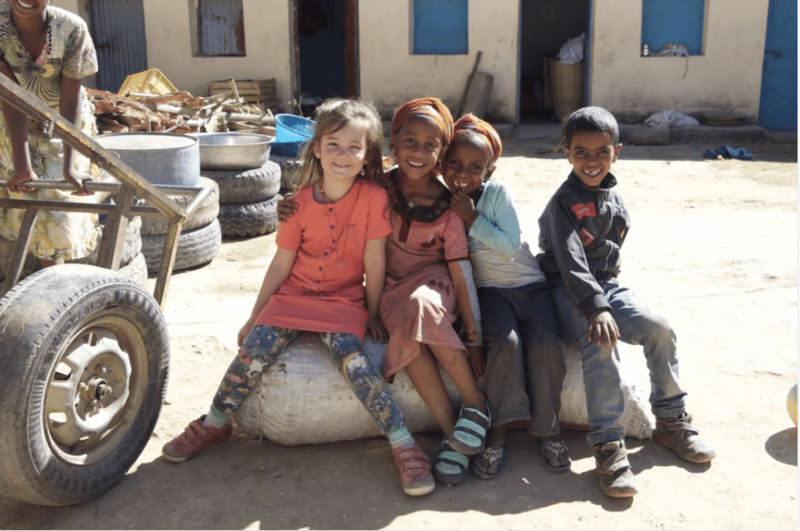 The last aspect in these reflections on the question when to start overlanding with kids is the fact that children and especially very young children are functioning as virtual “icebreakers” when it comes to contact situations with strangers. A lot of people stop and approach travelers then and the children simply catalyze intensive encounters with the locals. These very situations where intensive contact to other people is established, is the “essence” of overlanding anyhow from our point of view. Through the children and the contact-situations originating in them, also the grown-ups become more open. Contacts to other people increase when traveling with young children, sightseeing decreases. Beyond that, the concept of “family” is held in a high esteem in many countries, especially in non- or less-westernized ones. Hence, travelers traveling together with their children will generally be met with a more intensive respect than, for example, solitary travelers. In a conversation with me, one overlander characterized children as “human shields”, which just from the phrasing I see extremely questionable as parents do hopefully not take the kids for that purpose, but precisely by the exorbitance of this formulation the significance of family in many non-western communities and the resulting effect for overlanders is made very clear. Kids among themselves in the described contact-situations have no problem at all getting to know one another and play together even without any common language – actually they become motivated to learn a world language because they want to communicate and stay in contact. A major problem in our highly rational, high-tech and supposedly so very safe and secure (western) societies is that the human “gut instincts” is not held in high esteem anymore. There are so-called “guidebooks” on almost anything: traveling with kids, breastfeeding, baby food, pregnancy, parentage in general et cetera. But, believe it or not: even before the mass usage of letterpress printing, mothers, fathers, parents and extended families have raised and nurtured children healthily and wholesomely! We are part of the “animal kingdom” and had to develop something like an “instinct” in the process of evolution. Overlanders have to become aware of this part of humanity anyway to be able to quickly judge certain situations without even thinking about them rationally and to be able to react accordingly. In terms of their children parents can also rely on their innate gut instincts and act accordingly. There are ample patterns of behavior in us through our biological development, we just have to learn again how to listen to them! Notwithstanding all educational and developmental-psychological reflections here, we cannot hide the fact that especially when traveling to less “civilized” countries (whatever that means!) medical jeopardies can lurk on our children. This aspect us lucky humans from the so-called “highly-developed” countries can be countered by taking medical precautions, vaccinations (our family is completely vaccinated and we never had any problem with that! 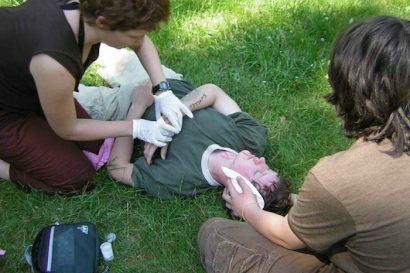 ), carrying along medication and first-aid material, doing first-aid training and travel insurance. 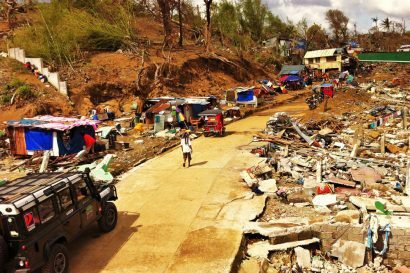 This chance is pure luxury: the vast majority of people in the so-called “developing countries” does not have this chance. But even there, they have children! There is no such thing as a one-hundred percent security and it will never ever exist, not even at home – life ends inescapably lethal! Considering the results of our reflections on the initial question the final conclusion reads as follows: … start travelling before counting!